Ever since I was a little girl I have been obsessed with waterfalls. Even now, I don’t know what it is that has drawn me to them. That said, on the “Big Island Tour” my mom and I discovered the east side of the island, a/k/a “Hilo Side”. 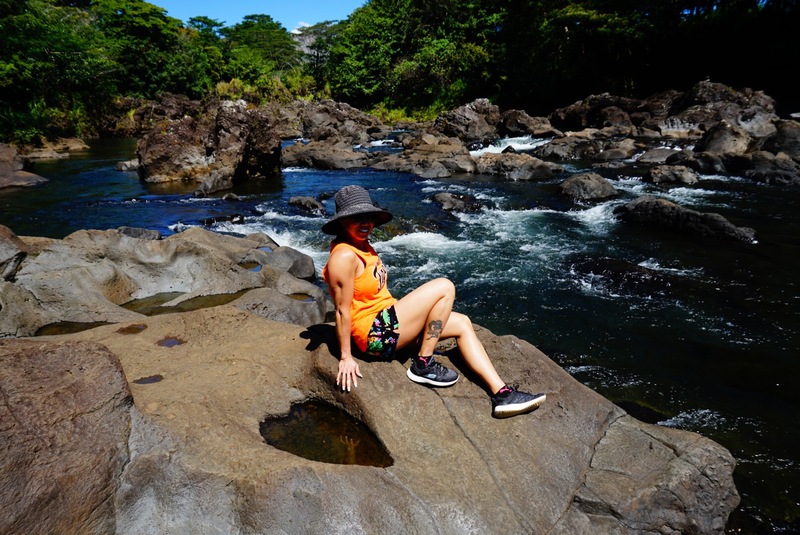 Luckily, my mom and I rented a car and had planned to spend a full day wandering around Hawaii Island, and waterfalls were on the agenda! 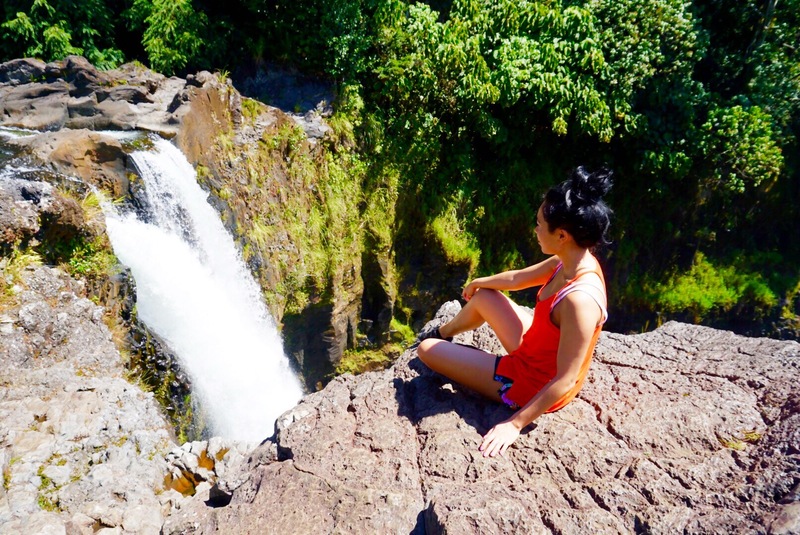 To future Hawaii Island-goers… there are three waterfalls you must see on your visit. With each providing its own unique beauty. 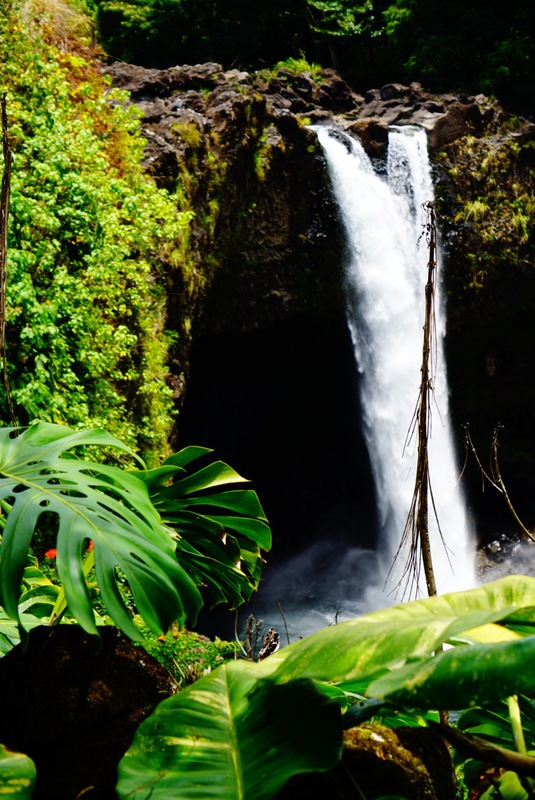 This waterfall is a part of most tourist travel packages on the Big Island. That said, if you’re looking to go without tourists in your shots, and to enjoy the majestic and silent nature of its beauty, then arriving early is a must. I first saw this waterfall on my Big Island Tour, and then revisited the next day around 9am. Arriving early allowed my mom and I time to enjoy its beauty, hike to the water of the falls, and for me… sit next to the rushing water! To visit this waterfall is free. If you show up early you get a parking spot and not have to troll people to their spots, like in college. 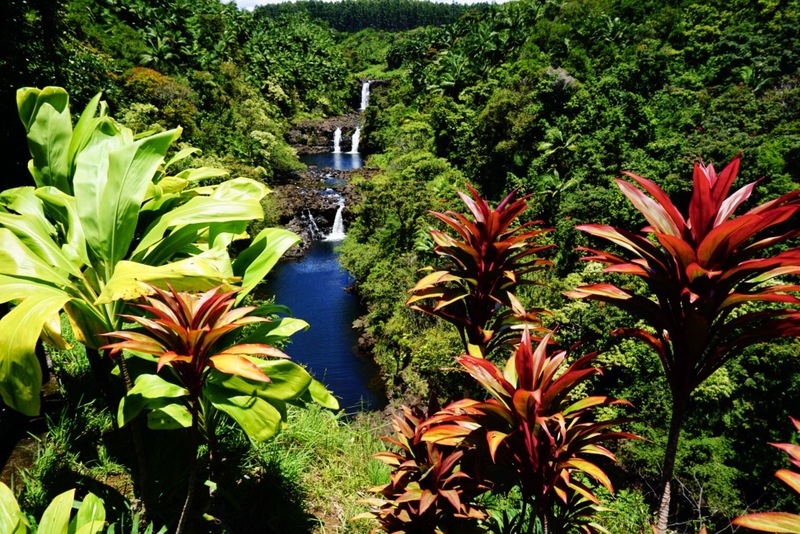 The ‘Akaka Falls lies in the back of Akaka Falls State Park. When entering, don’t get too excited if you find parking near the entrance gate. If parked within the gated area it’s a $5 per car fee. If parked outside the gate the fee is $1 per person. 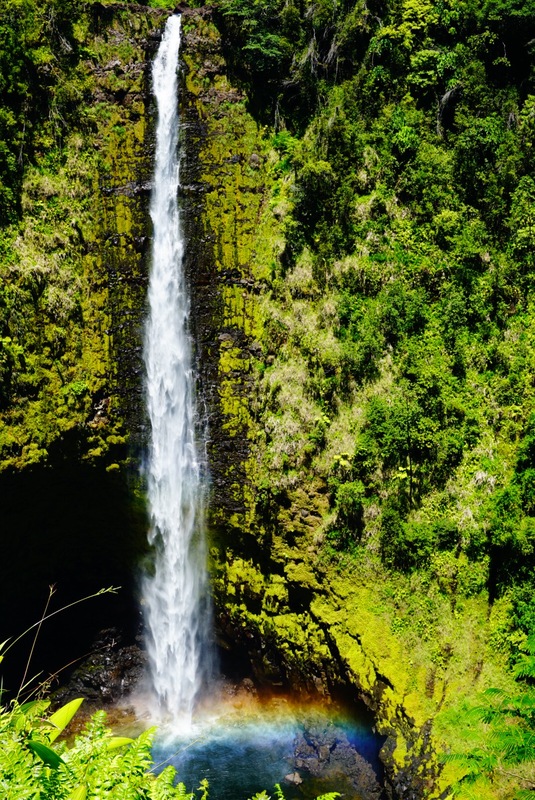 This is one of the most iconic waterfalls on The Big Island, known for it’s three tiered waterfalls. Of the ones visited, my mom liked this one the most, so it was definitely worth the $5 per car entrance fee. 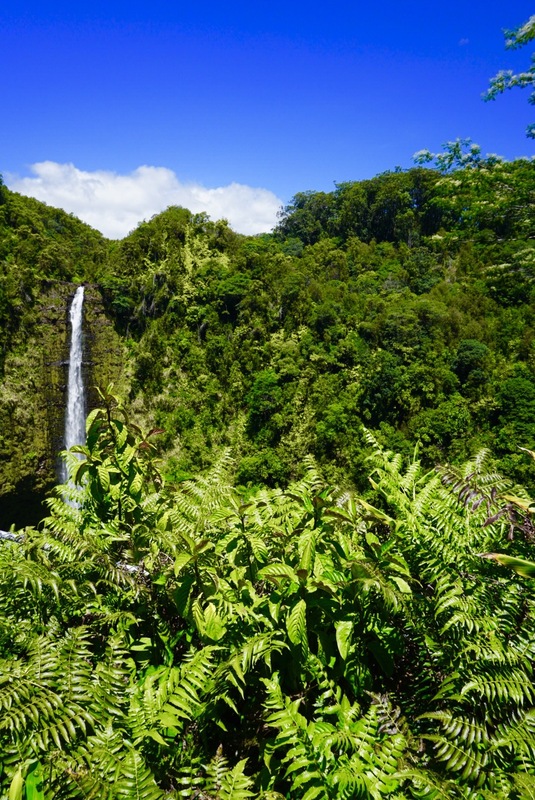 For those traveling here for the first time make you sure you enter through “Umauma Falls and Zipline Experience.” Other areas that appear to be the right location are tow zones with no entrance. The only entrance is through the Zipline Experience. What I have learned on this waterfall chasing experience is that venturing off the beaten path can lead to more beauty than we can imagine. There’s no doubt that trip traveling apps can help the assist in knowing that these beautiful landmarks exist, but don’t shy away from asking the locals where they enjoy going! Additionally, if a hiking trail so happens to lead you to the waterfall, maybe you were meant to be there… enjoy it! So gorgeous and GREAT tips! Did you try the zip line experience or see others do it? The areas appear to be very clean and well kept, are tourists very respectful of the area? It seems some attractions over time lose their beauty due to past travelers not being very respectful of the area. Great observations! Hawaii is beautiful and one of the few places those who go respect. All places I visited, even those not on recommended trip apps, were very well kept and clean. Something Hawaiians take pride in is the beauty of the state they live, and view their land as sacred. That said, everything was honored and clean! I did not do the zip lining experience. It was $100/pp and since I’ve done some before passed. However, if you make your way there of the zip lines I’d recommend that, since that one crosses over the Umauma Falls. Love your comments and questions, you’re so sweet!